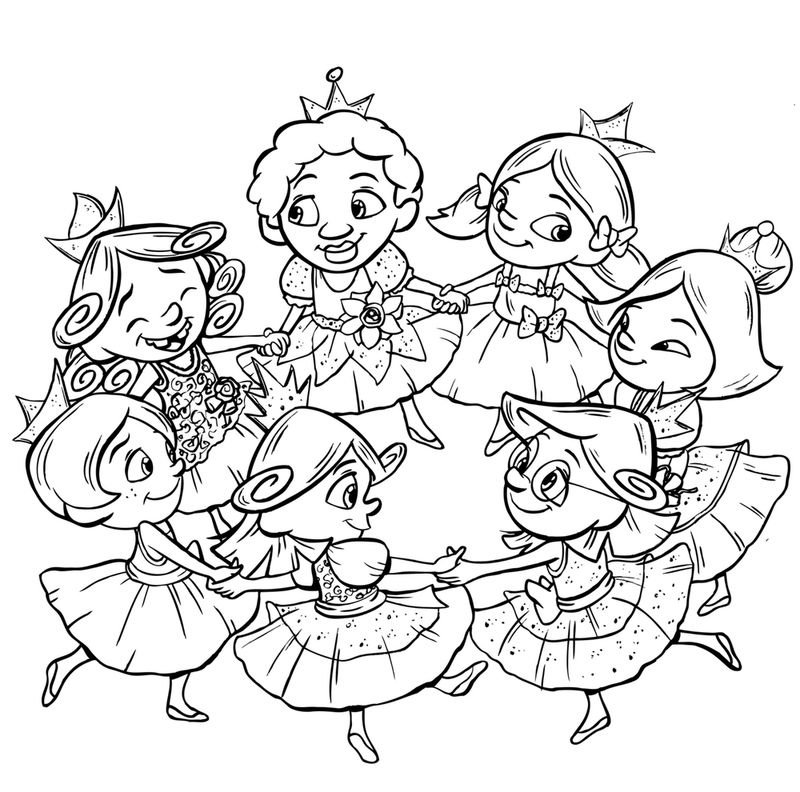 Little Princess Palace - print the page and color the princesses! Have a blast making the Seven Princesses your own! Download and print this page to get colorful and creative.